When Mother Nature releases her fury on a community, there are stories of families, neighbors, and businesses coming together. 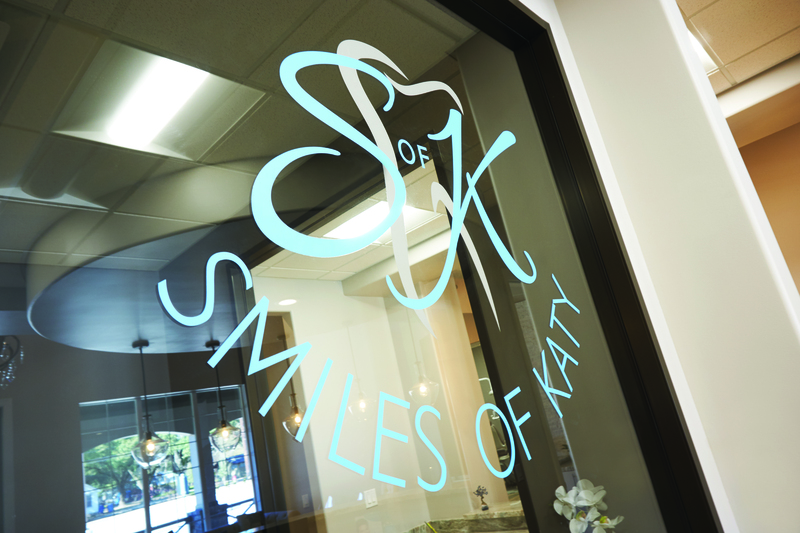 Dr. Dolores Mora and her general dentistry practice, Smiles of Katy, is one of those inspiring stories. 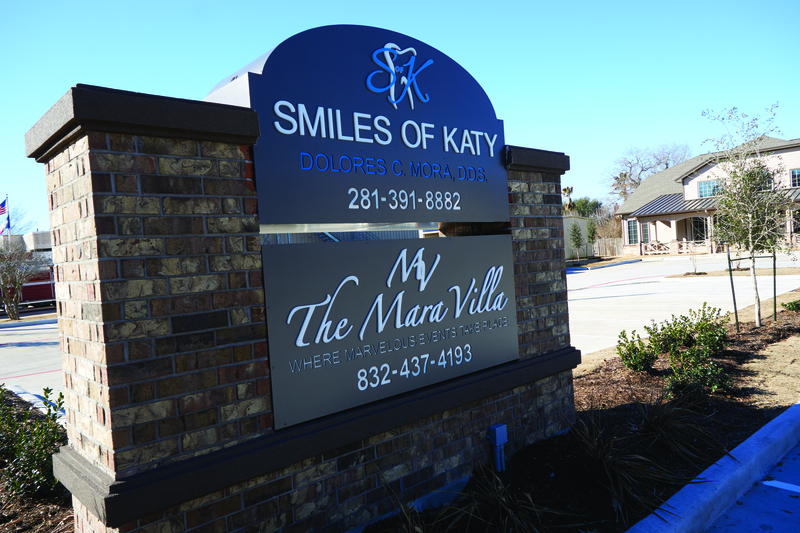 At 62 years of age, Dr. Mora took a leap of faith and constructed a new dental practice right behind her existing building in Katy, Texas. 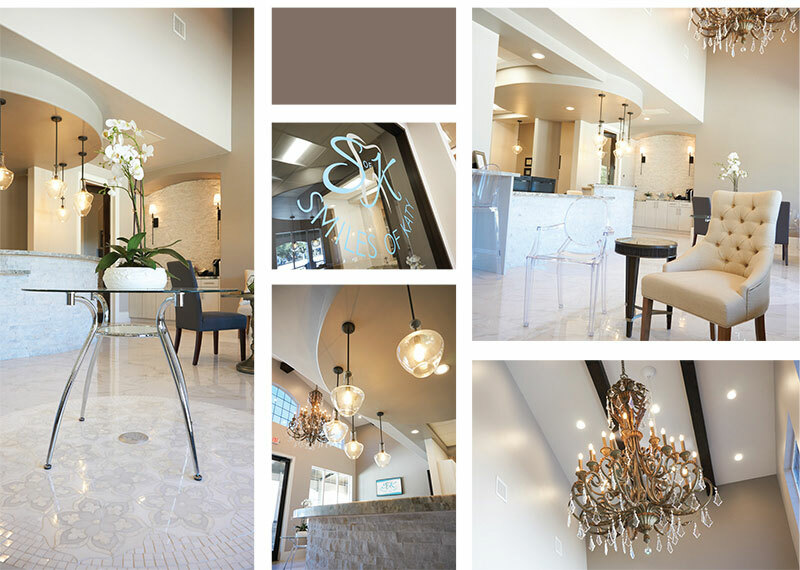 The plan was to move into her dream office, built with 10 fully equipped operatories and a sparkling waiting area with crystal chandeliers and luxurious seating, and then raze the former building. However, Hurricane Harvey had different plans. 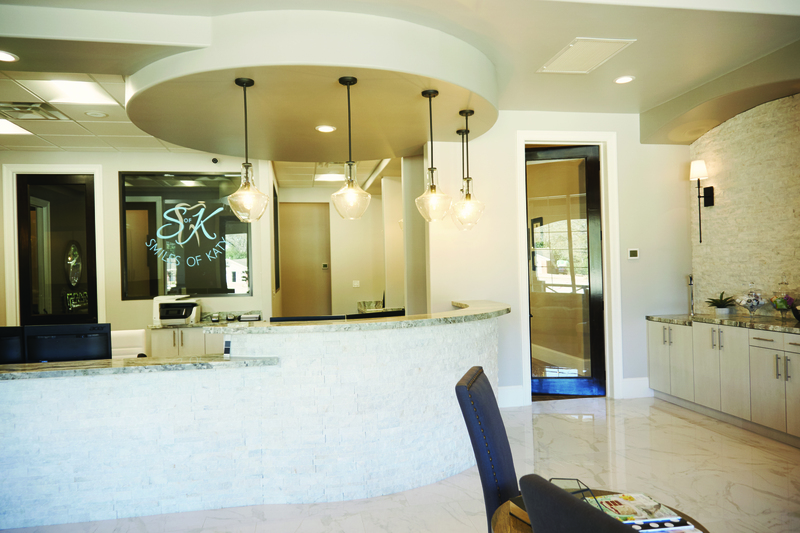 Upscale luxury is the only way to describe the reception area in Smiles of Katy. 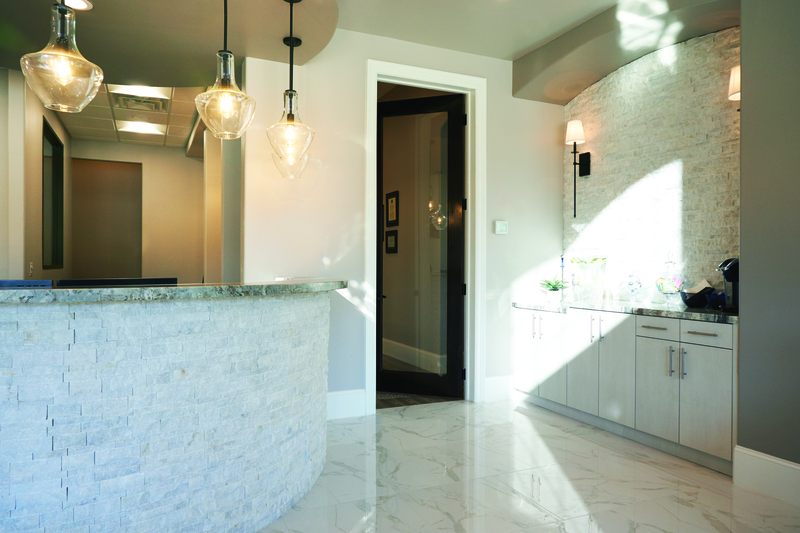 Heavily adorned in marble, glass, and a breathtaking chandelier, the entrance sets the bar for exceptional patient care. In August 2017, the storm blew into Houston and pushed its storm surge 30 miles further inland to Katy. Floodwaters filled the doctor’s existing office as well as the new one that sat behind it, four feet higher. Just two days after her new, state-of-the-art equipment had been installed—and before a single piece was powered up—the new office was submerged in six inches of water, destroying the floors and carpet, seeping up into the sheet rock, and soaking into the electric circuits inside her dental chairs. When the doctor could finally get to her practice, she discovered that the existing office had several feet of water inside, but she remained hopeful that the new office built behind it had been spared….until she walked inside and the carpet squished under her feet. She was heartbroken. 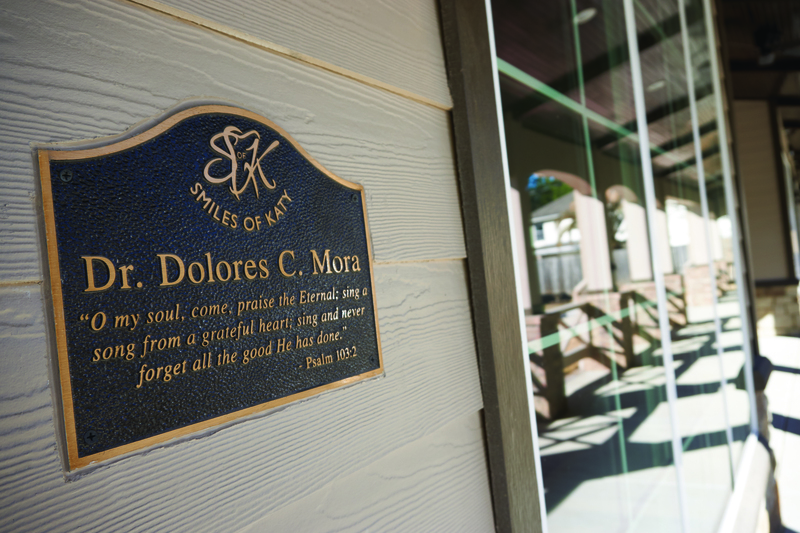 Even with her strong faith, Dr. Mora admits she struggled to understand why it happened. “I immediately started thinking how we could undertake this huge setback,” said Dr. Mora. “Although I knew it would be difficult, I never lost faith that it could be done.” She had previously attended a Driven to Excellence seminar by Dr. Mark Tholen where she learned how to create a stellar new dental practice, and although she had felt prepared and confident throughout the process, it still had been a massive undertaking— and she wasn’t sure she wanted to do it all over again. 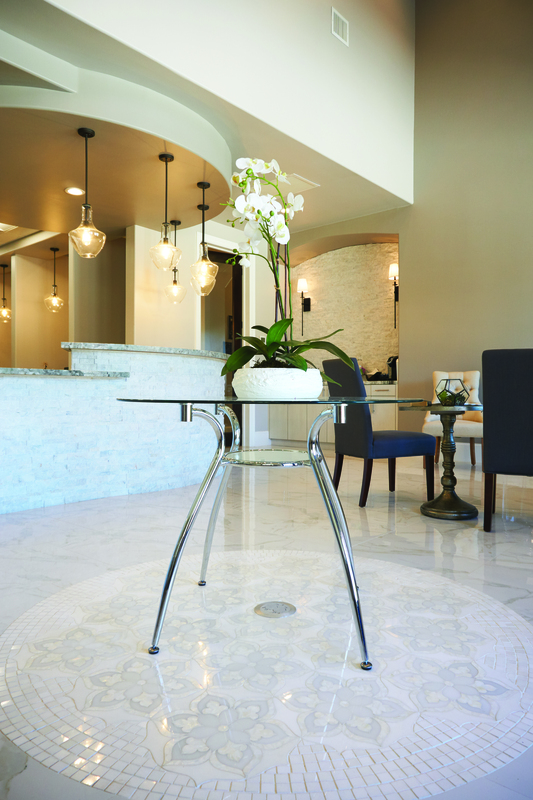 The clinical area is a wash of soft colors, refined accents, and a niche topped in granite with live flowers. 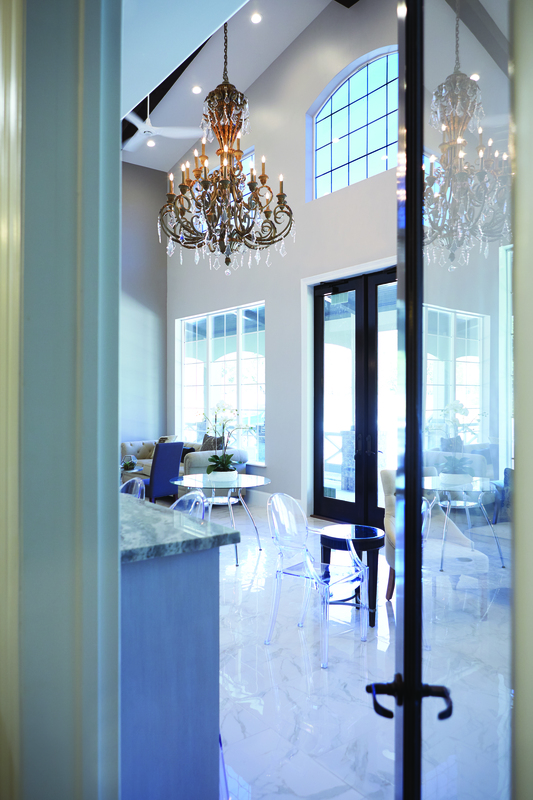 As patients are led to one of the 10 operatories, they are surrounded by posh sophistication. The damage to the practice was substantial, complicated by the fact that the doctor didn’t have flood insurance (she wasn’t in a flood zone, so she had opted out like most other businesses on her street). Now her dream sat under water, but not for long. 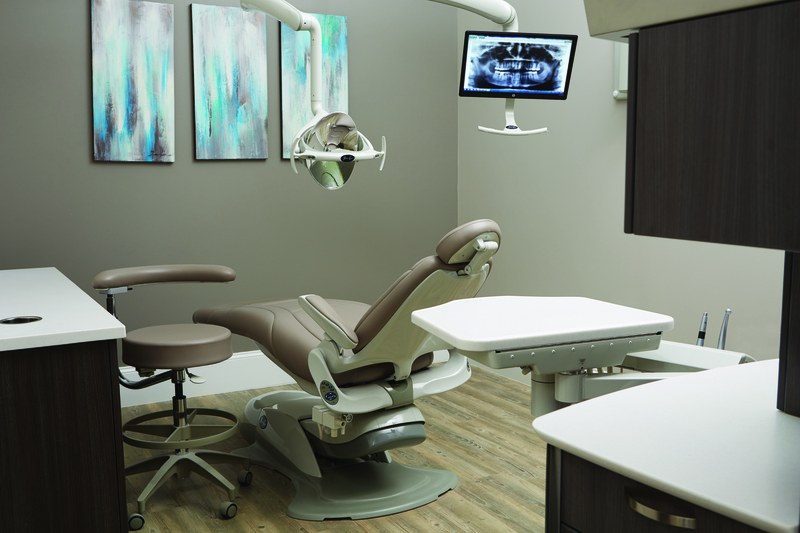 Before a single patient walked through the door, the top-of-the-line Pelton & Crane chairs were water-damaged from Hurricane Harvey. All were salvaged and ready when the practice opened thanks to the supplier partners coming to together to discount replacement parts and donate labor. 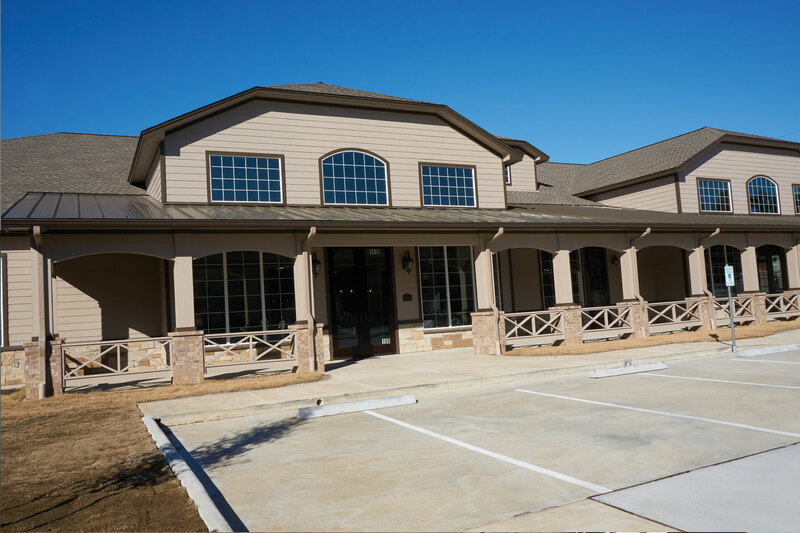 The 5,100-square foot office is a major upgrade from the existing office, which was just 1,500 square feet and had three operatories with an inefficient floor plan and a mix of older equipment. 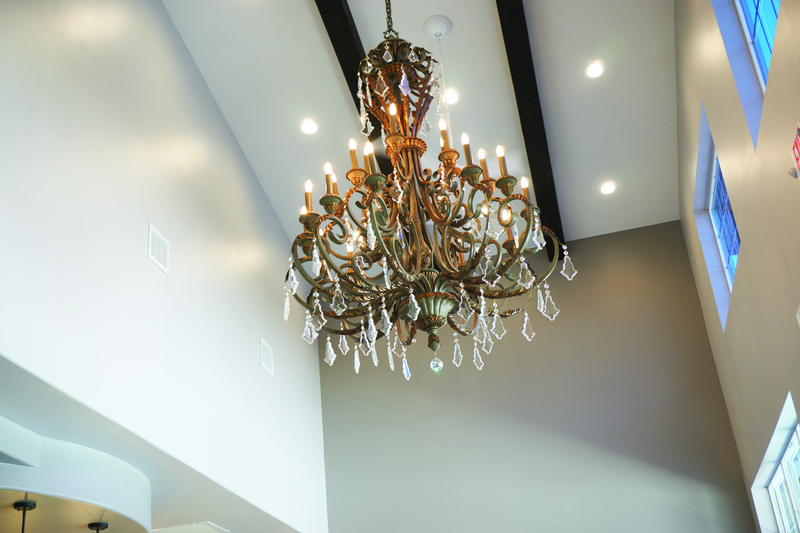 Patients are now greeted by a 300-pound sparkling crystal chandelier from Argentina in the middle of what the doctor calls the “guest room.” Luxurious soft couches, granite countertops, marble flooring, and a refreshment area surround patients in relaxation. 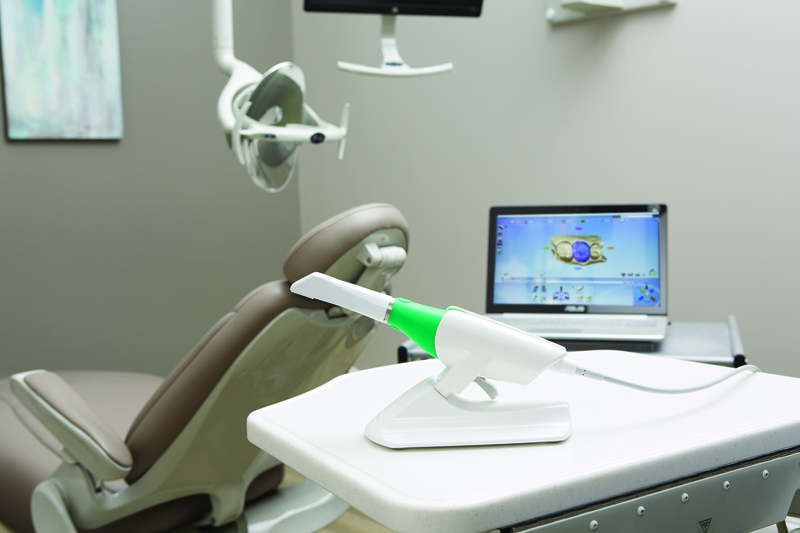 Treatment discussions are enhanced by showing patients their digital images captured with the Planmeca Emerald scanner. 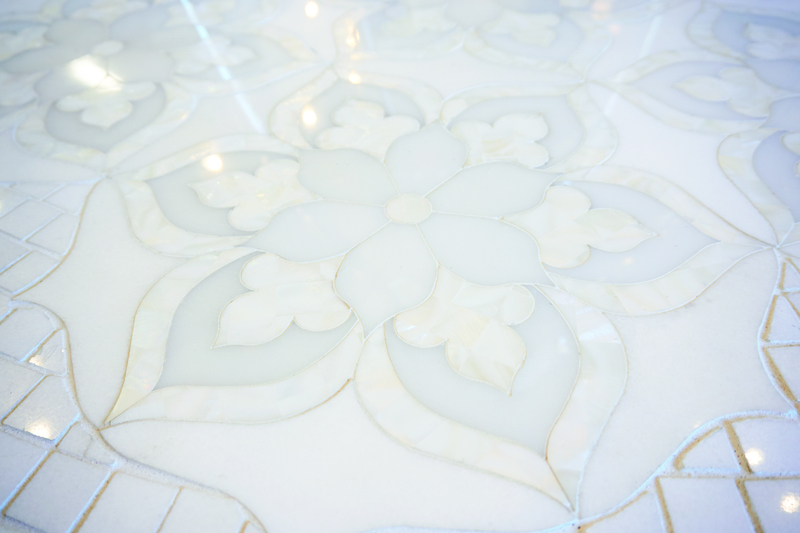 With its white-washed floors and open layout, the operatories are bright, comfortable, and state-of-art. 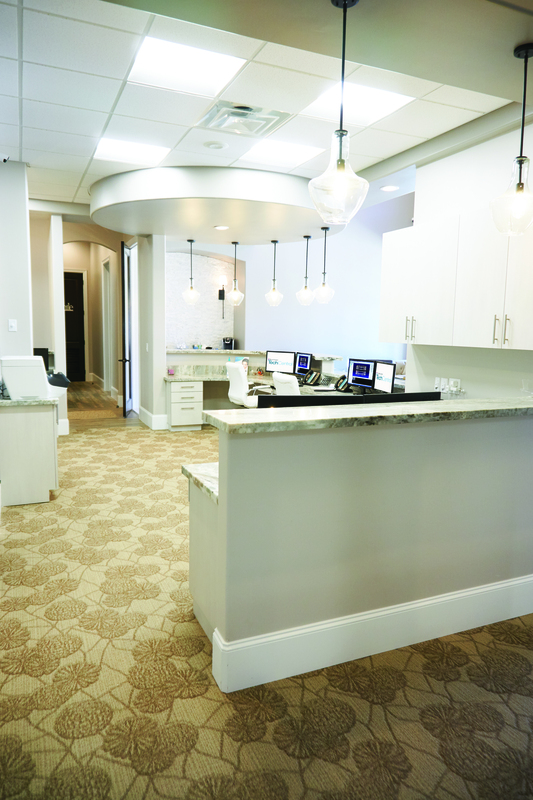 The first order of business was to salvage space in the old office so Dr. Mora could see patients during the months-long setback. In the new building, cosmetic repairs began…the lower half of the sheet rock was cut out and replaced, carpeting was removed and re-laid, and the floors dried out and redone. Meanwhile, Mr. Schulin and Ms. Muro got to work contacting vendor partners like Pelton & Crane, Planmeca, and KaVo Kerr to see about sourcing new motherboards and other parts to get the equipment back into working order. 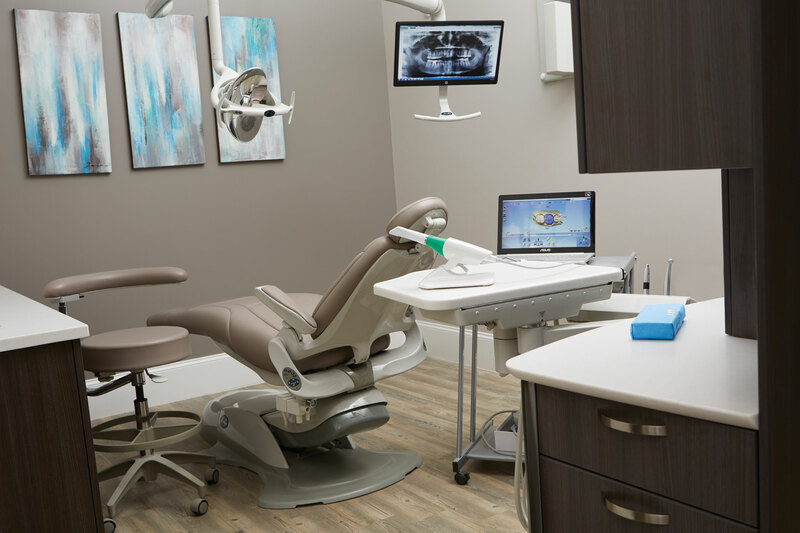 operatory equipment like the KaVo electric handpieces and intraoral cameras, which Dr. Mora “won’t do anything without,” were safe because they remained high enough to avoid water damage. 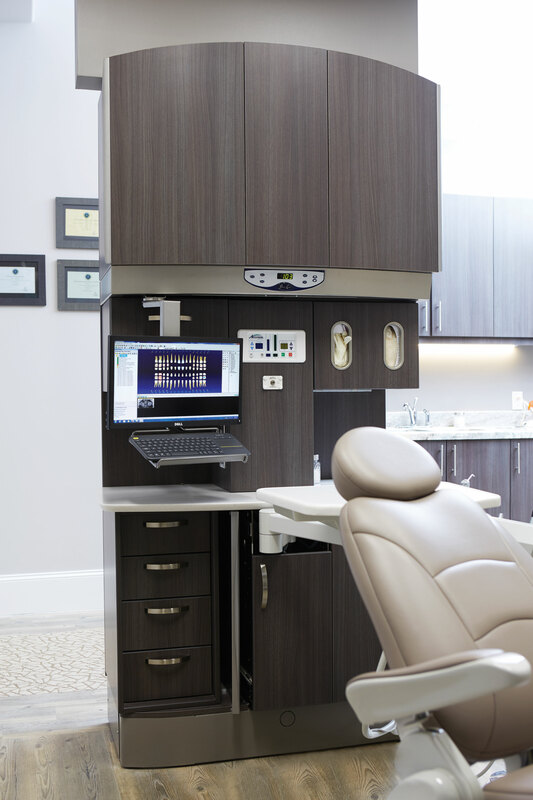 The doctor’s Planmeca Planscan intraoral scanner and PlanMill were the only items insured because they were financed through Henry Schein Financial Solutions. 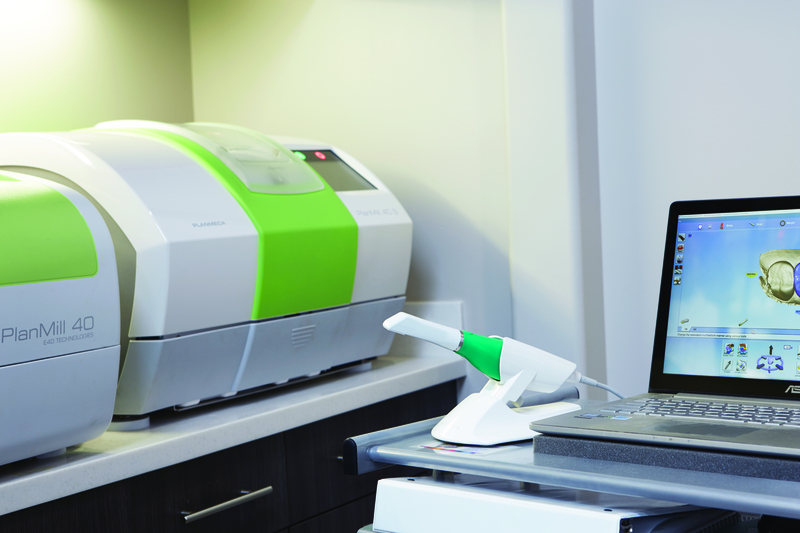 Planmeca shipped a new Planmeca Emerald intraoral scanner and PlanMill 40 S, and Henry Schein service technicians were able to get the old PlanMill 40 working, too. 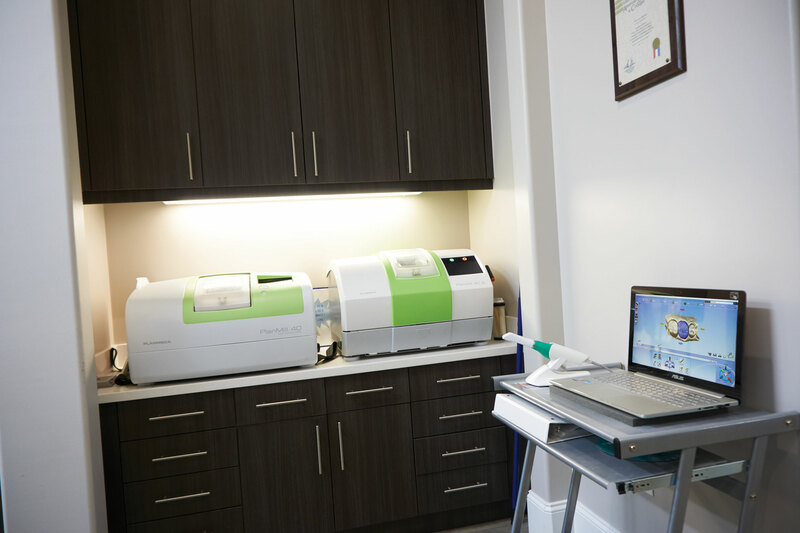 After initially resisting the idea of same-day dentistry, the doctor now calls the Planmeca Emerald and PlanMill 40 S a “game changer” that runs all day, every day, to meet patient demand. 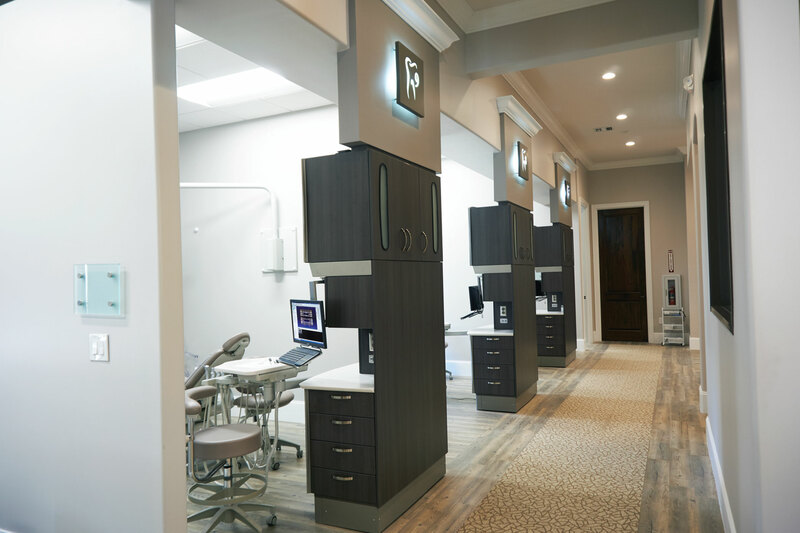 The doctor also purchased a NOMAD intraoral X-ray imaging system, which moves between the operatories, and an Instrumentarium OP300 3D cone beam imaging system for orthodontics cases, which she usually recommends as a first step before veneers. “I am a fan of naturally straightened teeth,” noted Dr. Mora. 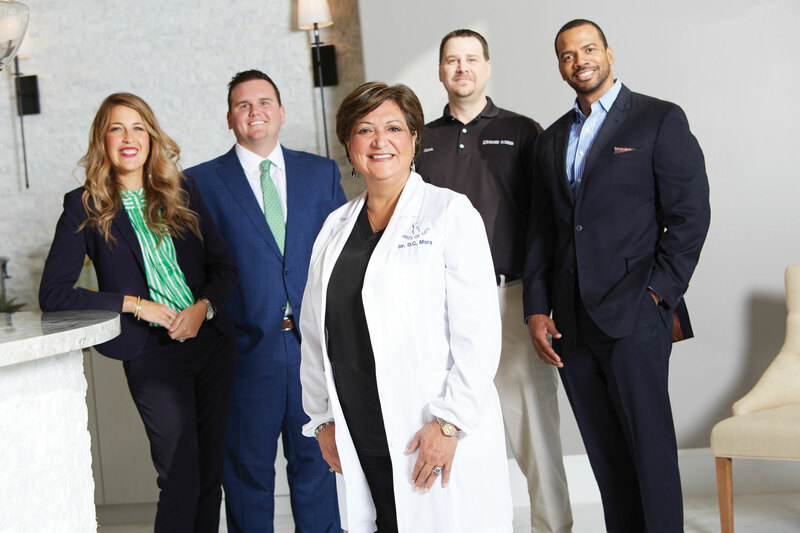 “I believe in saving our own enamel when we can.” The doctor handles many veneer cases as well, and through them she discovered an opportunity to expand her practice into a dental spa model, offering Botox injections, high-end fillers, chemical peels, treatment for spider and varicose veins, and massages. 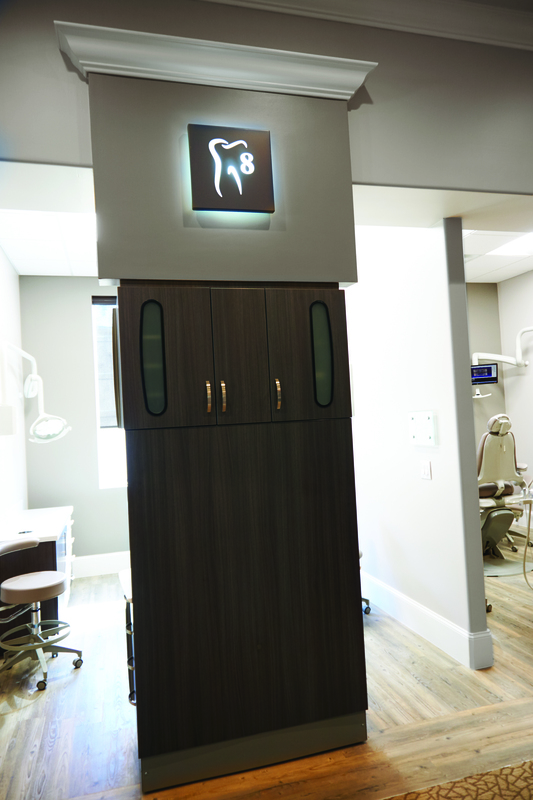 The Midmark Sterilization room is set behind a wall of glass, and is one of the areas that Dr. Mora is most proud of. 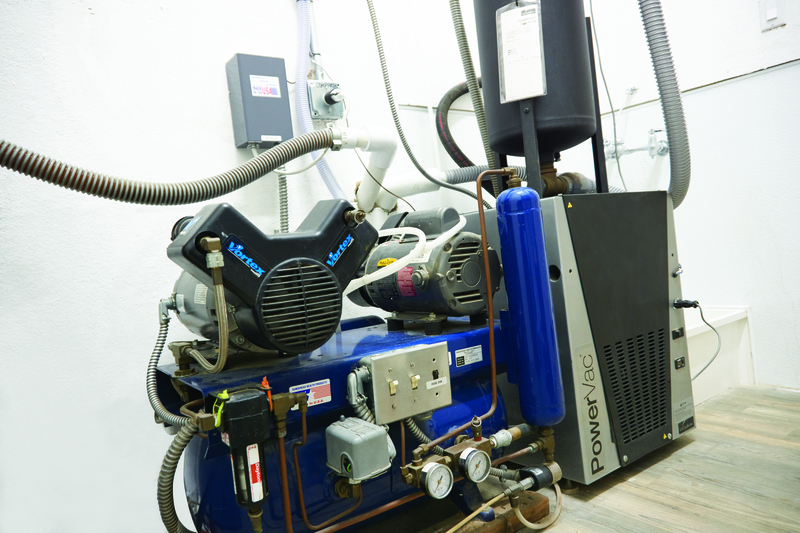 Set in the middle of the practice, it features a walk-through design and M11 autoclaves, which propel the dirty-to-clean process efficiently so the office can keep pace with its robust patient load. The office survived the fury of Hurricane Harvey and has flourished. 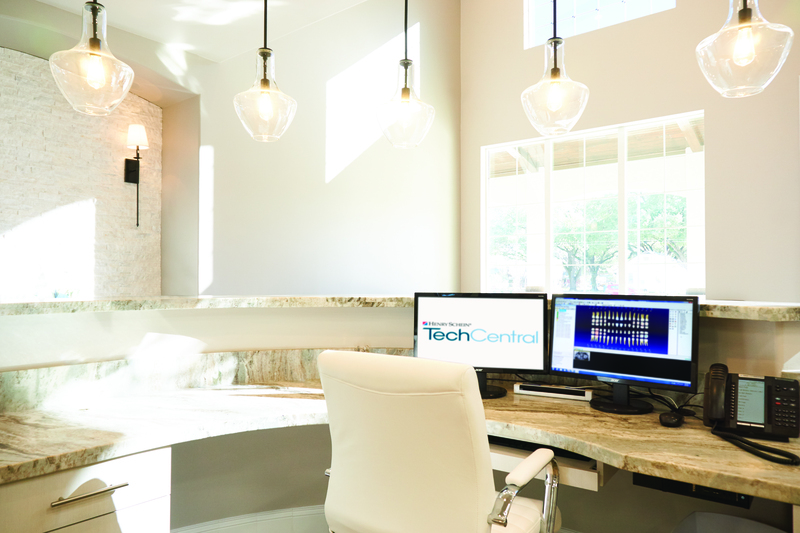 The community is in awe that such an exceptional office exists in their city. 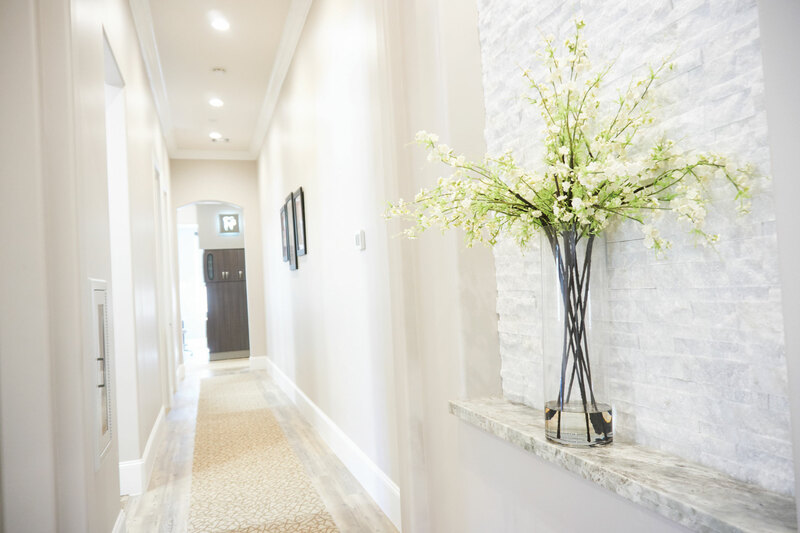 Dr. Mora is now expanding to include non-surgical cosmetic procedures to go along with the beautiful smiles she creates. 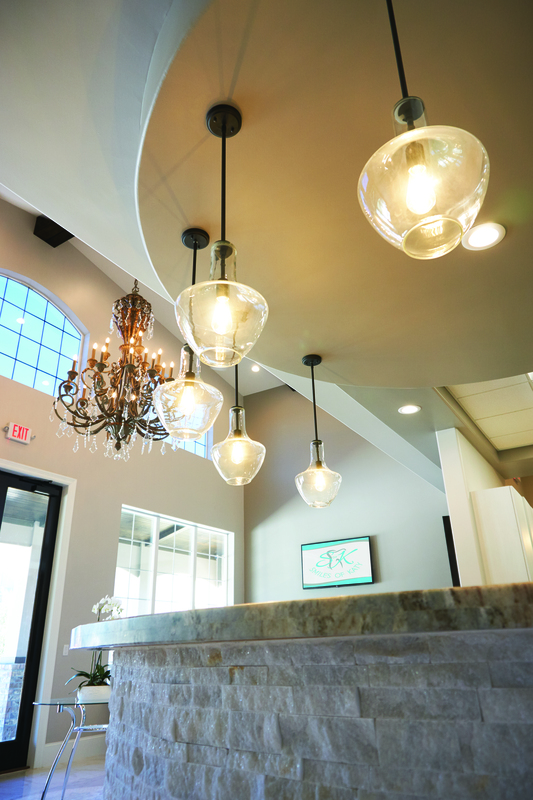 Now, many months later, the hurricane is a distant memory and the practice is busy, drawing in many new patients who are amazed that such a spectacular dental spa exists in Katy. 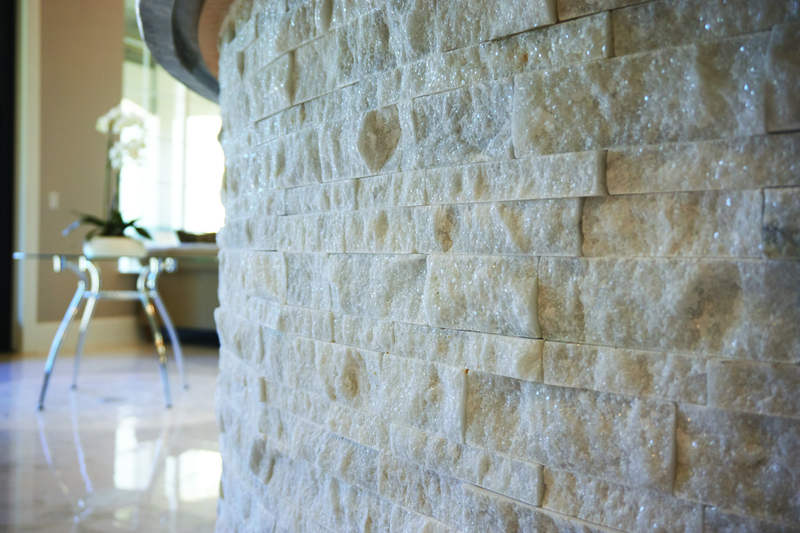 The exterior has been the talk of the town, and visitors stop by just to sneak a peek at the interior. 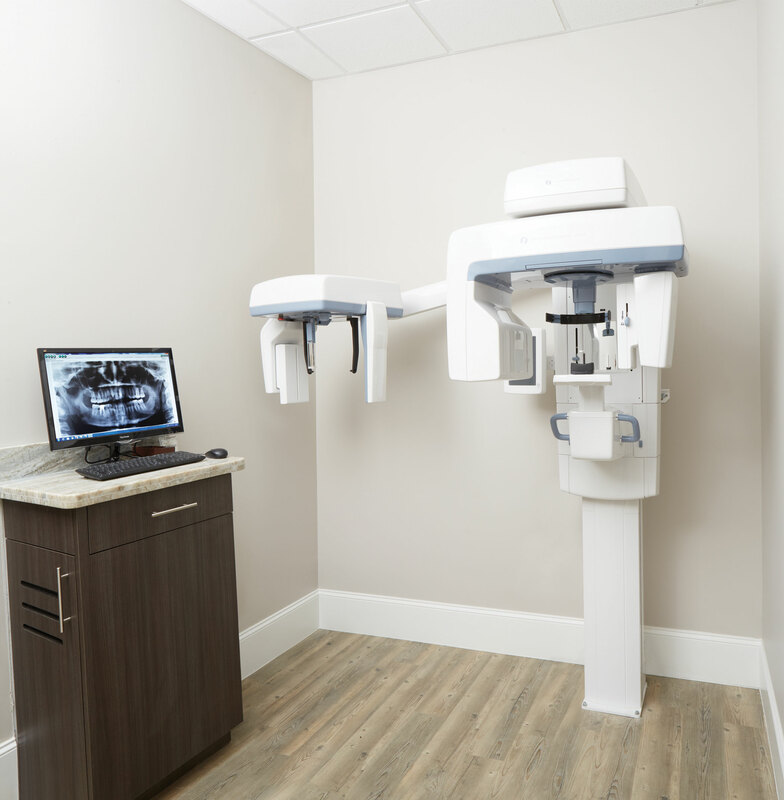 Deeply invested in creating the most beautiful aesthetics while leaving as much tooth intact as possible, the doctor’s digital imaging, including the Instrumentarium OP300 3D X-ray unit, provides her with the detail needed for complex procedures. 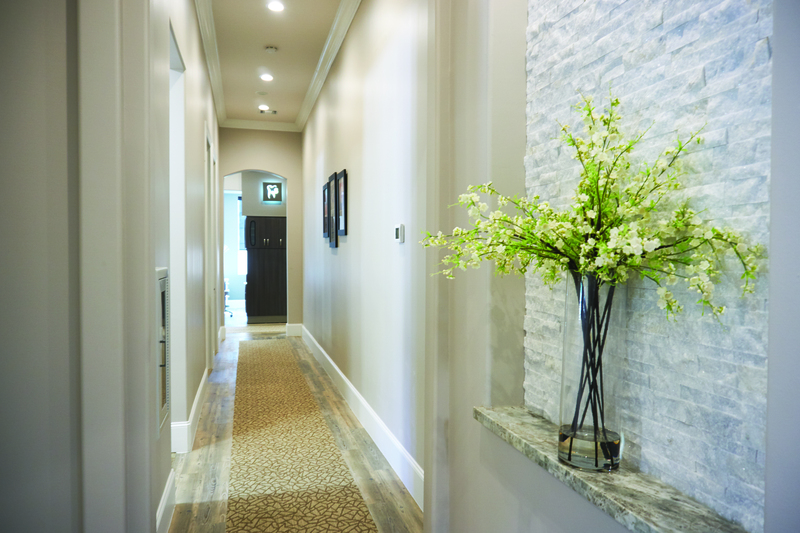 For the doctor and her staff, the working environment is something they waited a long time to enjoy, and with more room to move, they no longer bump into each other or stand aside in hallways so someone else can pass by! With 10 operatories available, they can take as long as needed with each patient. Despite the rocky start to opening her new practice, the doctor would still encourage other doctors to follow their dreams and to do it sooner than she did. From Left to Right: Vanessa Muro, Field Sales Consultant; Casey Schulin, Equipment Sales Specialist; Dr. Dolores Mora; Sean Hover, Certified Integration Equipment Service Technician; Lou Burts, Regional Manager.